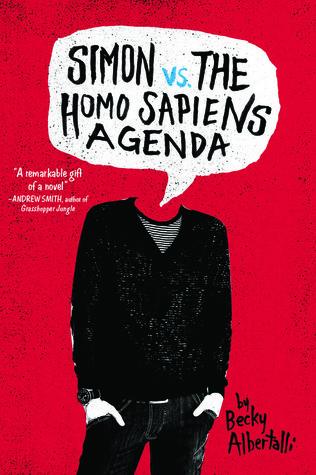 As I mentioned, I read Simon vs. the Homo Sapiens Agenda by Becky Albertalli for my Diverse Reading Project. 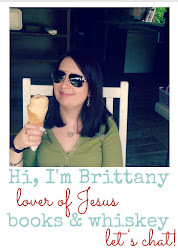 This book has been all over the blogosphere and Book Tube, so I had high hopes. I originally gave it a 3 on Goodreads, but I'm re-thinking it. My actual rating would be a 3.5. Maybe 3.75. The author did a great job of really fleshing out the main character- you got to know Simon as a student, as a friend, as a son and brother...it's rare to get such a full view of a character. And the emails with Blue obviously showed an inside thought process that added to that. The relationship with Blue is obviously the biggest plot point. The idea of getting to know someone anonymously and over the internet is becoming more and more common. This was done really well in this book, especially coming from a high school perspective. The relationship felt very authentic, and I especially appreciated the back-and-forth about meeting versus not meeting. I was getting impatient to the Blue reveal, but it was great when it finally happened! Also enjoyed the butterflies that came with the start of the relationship. It did seem as though they jumped into things a little fast- the time alone at the end worried me for a minute. I get that they had known each other, both online and through school, but the relationship itself was still really fresh. That could just be me turning into an old lady...I know pregnancy isn't an issue with two boys, obviously, but I believe there are more consequences to sexual behavior than that. Simon was a good main character, but I didn't necessarily feel like I connected with him personally. Once we found out who Blue was, I actually started thinking I would have liked to hear from his perspective more...that lack of personal connection is probably what stopped this book from being 4 stars for me. There are lots of people who totally fell for Simon and maybe it was all that hype that made him fall a little flat for me...or maybe it's just a personal thing (which is okay- you can't LOVE all characters just like you can't LOVE all people). Similar to Blue, all of the secondary characters were believable and interesting. I feel like I could have read a book focused on any one of the characters. Which is a really strong statement, in my opinion. Overall my favorite thing would have to be the idea of what all lies under the surface of people- the knowledge that in general we know so little even about those we are closest too. I've seen this book hyped up a TON, so I feel bad that I didn't absolutely LOVE it, but I definitely enjoyed it. It was cute but meaningful, and a relatively easy/fast-paced read.